In this episode, Stacy and Sarah talk about the sweetener found in most diet sodas, aspartame, and how dangerously detrimental it is to health on so many fronts. 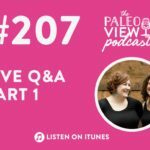 Stacy is doing a happy dance that we are finally doing this topic! Why Is Aspartame a big problem? 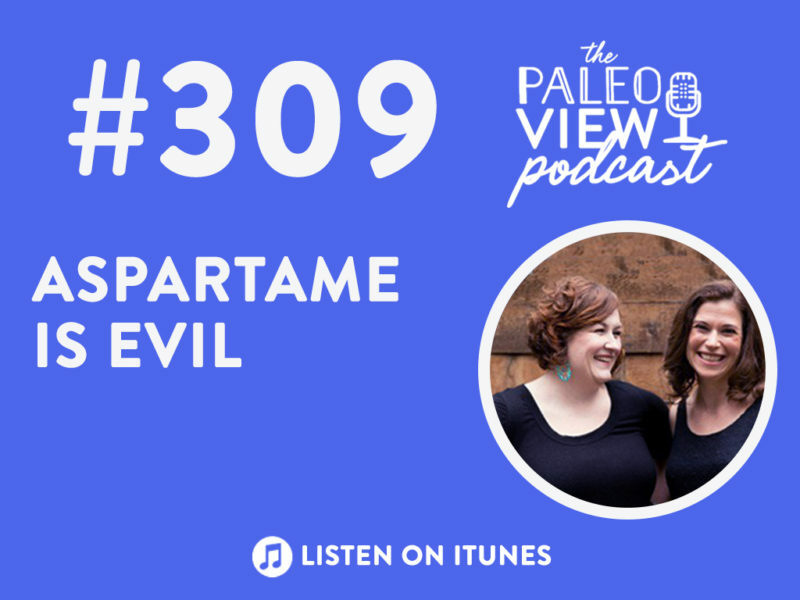 Both Stacy and Sarah have a history with diet soda with aspartame, especially Sarah and her THREE CASE a DAY habit! It’s upsetting that so many studies show non-nutritive sweeteners to be problematic, but still they are marketed as safe! Stacy recommends getting your loved ones to phase out aspartame no matter what. 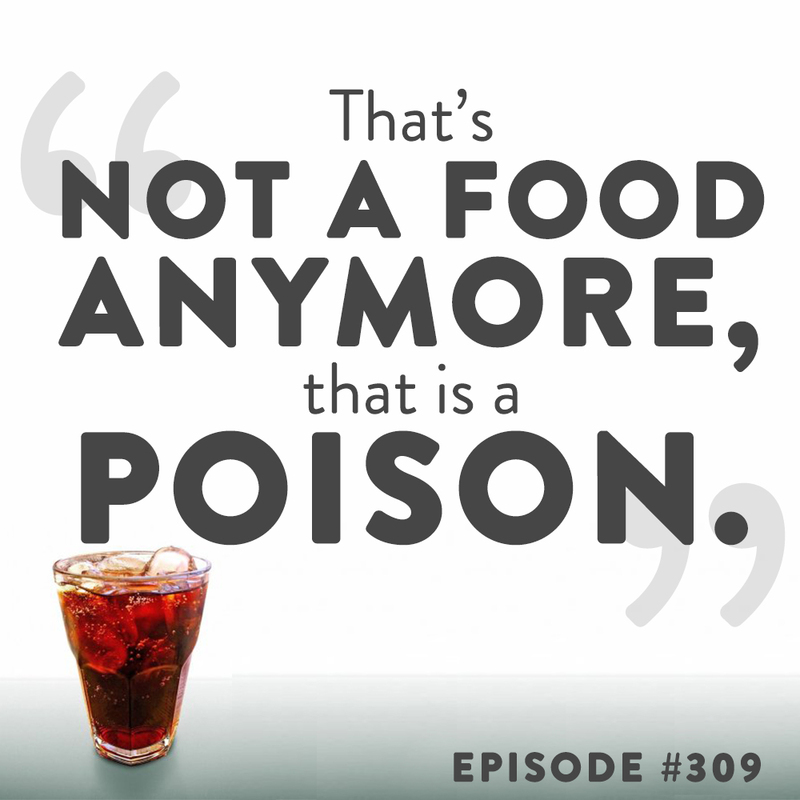 One of the main ways that aspartame affects you is making it difficult to prevent oxidative damage. This means it can cause systemic inflammation, leading to damage in every cell in your body potentially. This show is not to shame you but to encourage you to make better choices. Aspartame is a methyl ester of the aspartic acid/phenylalanine dipeptide. It breaks down into phenylalanine, aspartic acid, and methanol. While there is some concern about the phenylalanine, it’s the methanol that is the most concerning; methanol is what will make you go blind from poorly made moonshine. And it’s linked to lifelong increased risk from exposure in utero. This may be due to changes in the gut microbiome. The Paleo Diet in its original form allowed for diet sodas. This is crazy! Using diet soda for diabetes risk is like going from the frying pan to the fire! 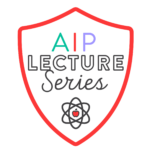 The idea is that aspartame increases sugar cravings. The cycle never allows a craving to be satisfied so calorie intake becomes higher. Aspartame increases mood issues as well. It’s linked to anxiety and depression as well as cognition. And it is linked to seizure rates, dementia, and strokes. It increases brain cell death and brain damage in mice. Twenty-five years ago a study into mood disorders was discontinued because it affected people with existing mood disorders so severely. And yet we still have it as a “safe” food additive! The warning label on aspartame only addresses people with the disease phenylketonuria (PKU) and they have to avoid phenylalanine. That’s it! 92% of aspartame studies not funded by industry found some health affect from aspartame. How can you interpret that as anything other than a conspiracy? If you’ve enjoyed the show, please recommend it to someone who might enjoy it. We love when you share and when you leave reviews for us! Thanks for listening! 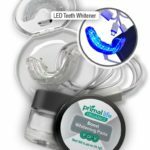 This amazing device uses blue light to naturally and safely whiten teeth. It doesn’t harm enamel or make teeth brittle like bleaching systems. And, the technology is based on some super innovative research out of Harvard! 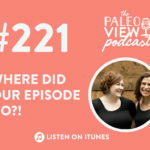 TPV Podcast Episode 221, Where Did Our Episode Go?! 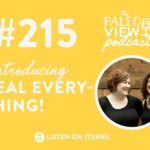 TPV Podcast Episode 215, Introducing Real Everything! 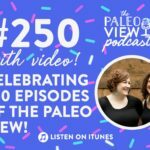 TPV Podcast Episode 250, Celebrating 250 Episodes of The Paleo View! This was a great show. Very interesting! I found myself thinking of so many loved ones who still haven’t given up aspartame. Now I have some stats to share with them to encourage change! Thanks, Stacy and Sarah!